DOCUMENTARY PHOTOGRAPHY is one of the simplest and most powerful tools which we have available to tell a story, to send a message, to raise awareness. It can be simpler, quicker, and more mind-blowing than surveys, campaigns, or debates. It is a very straightforward and effective way to reveal simple as well as complex problems undermining human rights, issues leading to violations, torture, and others crimes, which often go unnoticed by mainstream media and are thus unknown to the rest of the world. 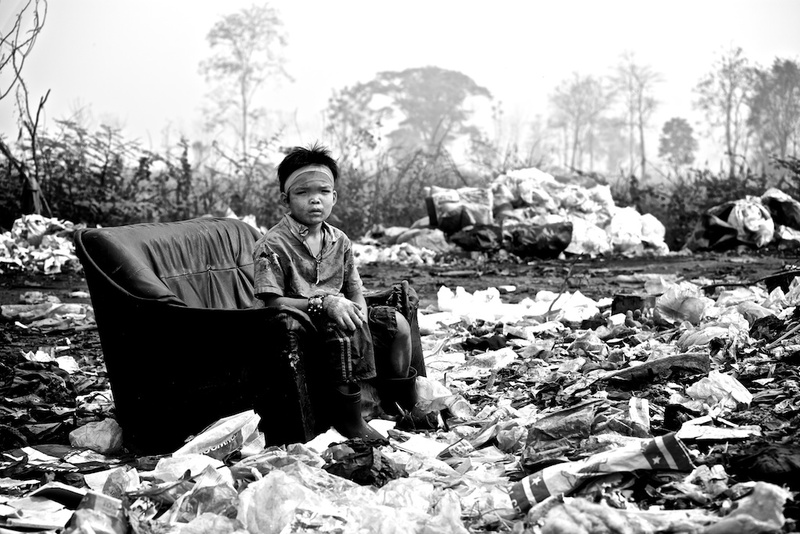 Burmese child in the dump in Mae Sot, Thailand. More than 100 illegal migrants live and work in the dumps. Conditions are inhumane. To sensitize civil society and render the information available on illogical, illegal, and oppressive policies relating to human rights are my main motivations. I do believe that “change” is feasible, and photography is the weapon I have been using to try and make it happen. Agua de Dios, Colombia. More than 600 people suffer each year of leprosy. Most of them have been forgotten by their own families. A large part of my work is focused on the consequences of conflicts and crises for human beings especially in less developed countries and more vulnerable areas and regions. I try to show the human faces affected by poverty, indigence, and war. 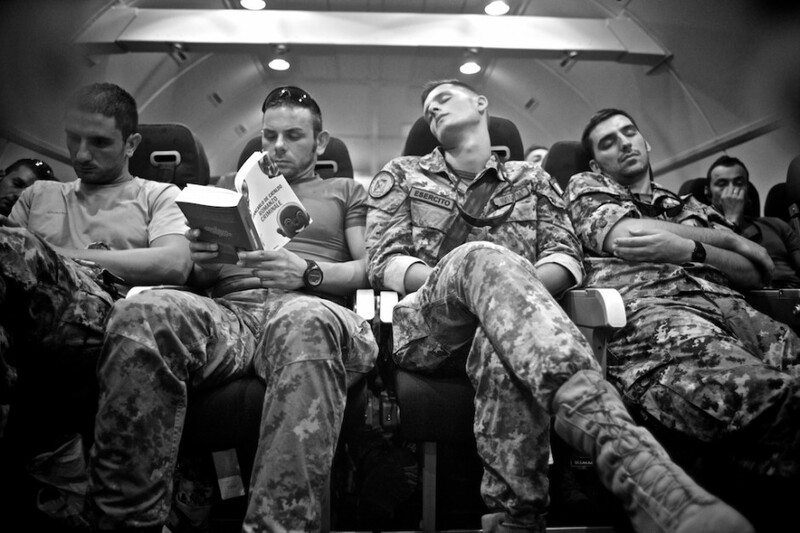 Italian soldiers sleeping on the way to Afghanistan. Most of them are married and have children. “This war is for economy and political issues, it does not make sense,” one of the soldiers said. Among other projects, I’ve covered refugee camps in Afghanistan, Burma, and Thailand. I investigated the nexus of security and development in Afghanistan with a full reportage on the conditions of famers in the border region affected by cultivation of illicit crops. 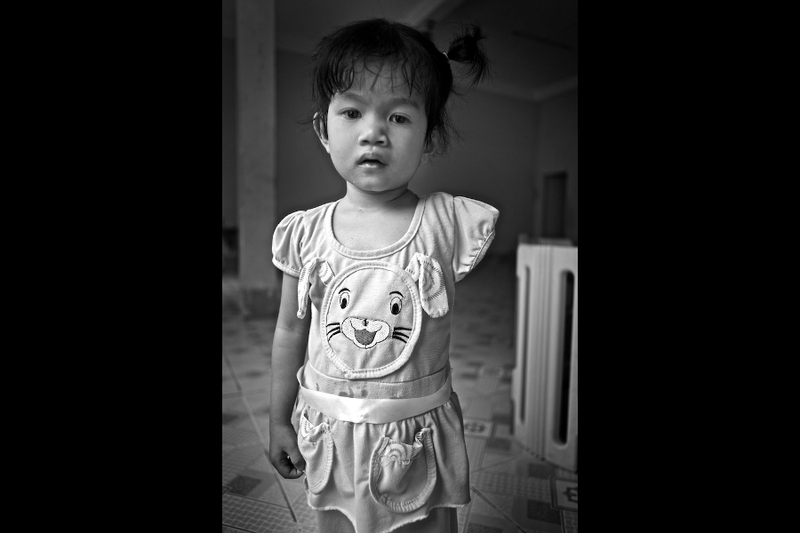 I’ve also written analytical pieces and taken images / testimony of the Vietnamese people affected by Agent Orange, a chemical weapon used by US Forces in Vietnam between 1962 and 1971. Environmental health is another key element in my work: In this regard, in Colombia, I’ve covered leprosy patients and indigenous populations. I’ve also covered seaweed farmers working in extremely poor conditions in Nusa Lembongan (Indonesia), and who are exploited by multinational corporations. 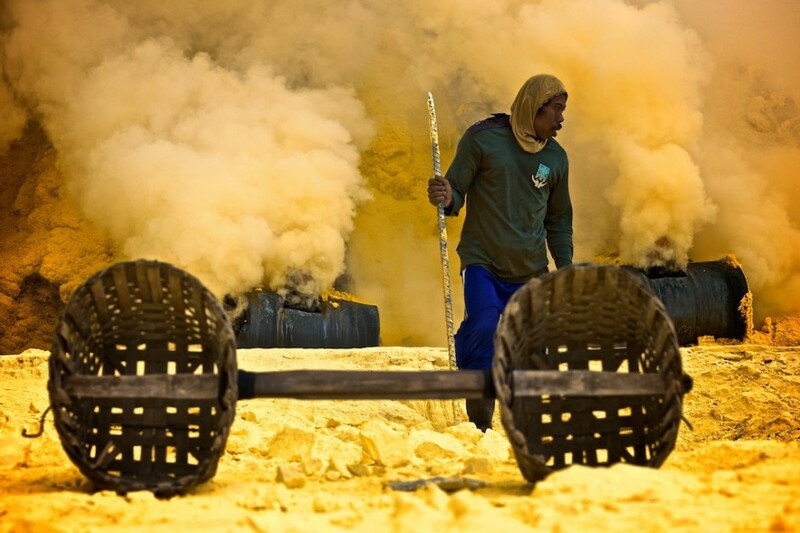 My latest project is about “Sulfur Miners” which took place at the Ijen volcano (Indonesia). It shows desperate groups of men working on one of the most toxic places on the planet. 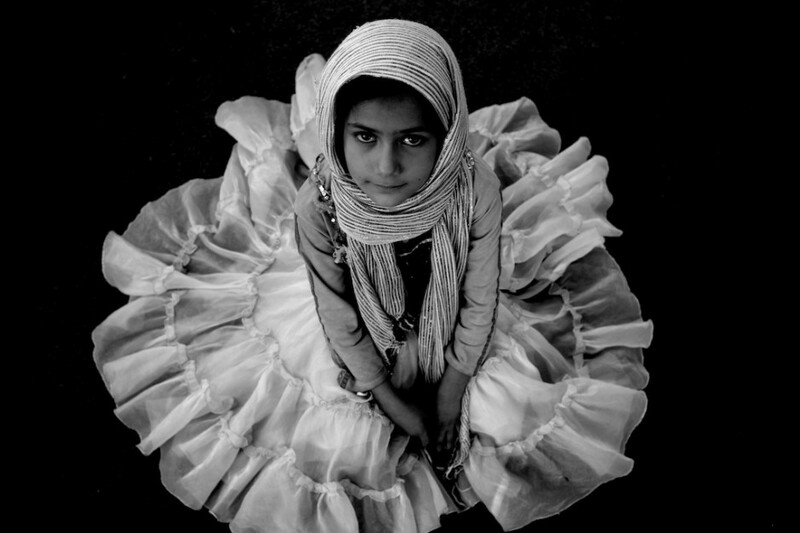 Many children in Afghanistan do not have families due to war. This young girl was in an orphanage. Her dream: to be a princess. Yes, I love what I do, and I would not be able to picture myself doing something different. However, everything in life has a price. It is a profession that affects your life in ways nobody could expect. In the middle of big buildings and luxury palaces, a small community of people live next to the rails of the train. 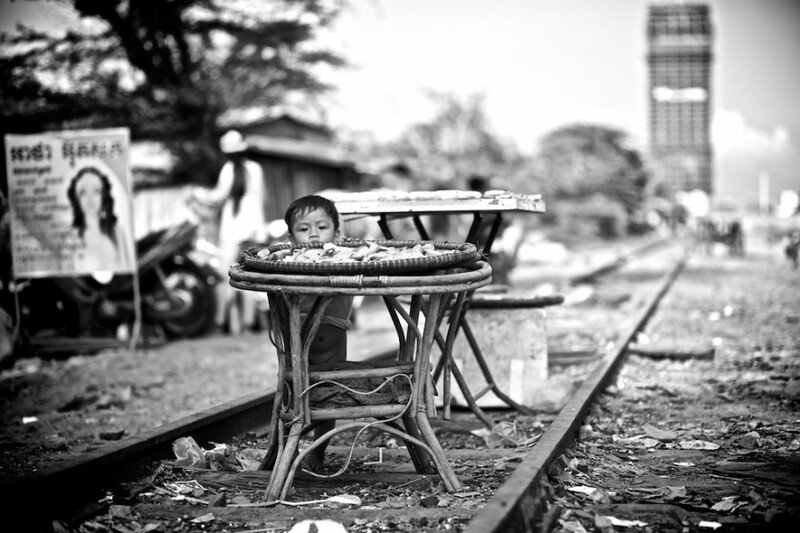 Poverty in Phnom Penh, Cambodia. Among these desperate groups, there are men of all ages working for minimal pay in one of the most toxic places on the planet. Documentary photography and photojournalism are my passions. To do this, one has to love it. It is a world where rules for taking pictures do not exist. What really matters is the subject. To show how human rights can be affected is the main goal.